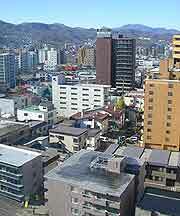 Hotels in Sapporo offer a good level of accommodation and easily meet most requirements. With youth hostels, capsules, themed neon-signposted love hotels and a range of luxury accommodation, it is easy to find somewhere to stay in the city of Sapporo. 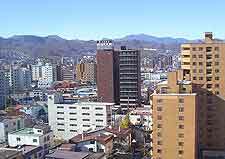 The main accommodation here is based around Sapporo city centre and stands just a short walk away from many of the main restaurants and tourist attractions. In general, most of the hotels in Sapporo are considerably cheaper than their equivalent counterparts in other large Japanese cities, although prices can fluctuate according to demand. This is particularly the case at the time of the popular Sapporo Summer Festival and also the Beer Matsuri festival at the end of July. A number of business hotels can be found around the downtown district, on the southern side of Sapporo Station and close to the main administrative part of the city. In the heart of the city and on the eastern side of the main thoroughfare, you will find many top-end hotels, standing alongside department stores and other shops. Many reasonably priced accommodation options reside in the lively entertainment district of Susukino, close to Odori Park. These hotels lie side-by-side many bars, restaurants, nightclubs, saunas and even some peep shows. The city of Sapporo is spacious and sprawling, and many hotels are sited outside of the city centre and can really only be reached using public transport. Some even choose to close during the quiet winter months, or reduce their rates in an attempt to up occupancy levels. Amongst the most popular hotels in the city, the Sapporo Washington Hotel II stands opposite the JR Sapporo Station and is a business hotel with good facilities. 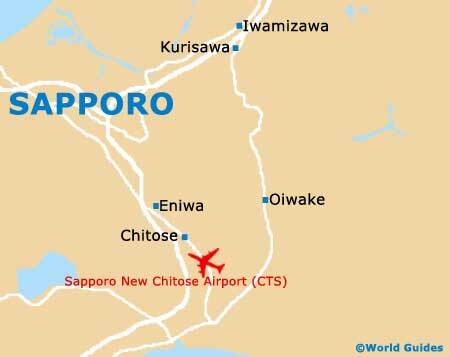 Other good choices include the ANA Hotel Sapporo, Toyoko Inn Sapporo Eki Kita Guchi and Hotel New Otani Sapporo, all of which are close to the train station. Also worth considering is the Nakamuraya Ryokan nearby the botanical gardens, and the upscale Keio Plaza, where the best guest rooms overlook the city.